In the second panel of the day "Small Size Big Impact? Management of Financial Opportunities and Constraints by Micro-entrepreneurs and Small Merchants" with discussant Olumide Abimbola, Max Planck Institute for Social Anthropology focused on the so-called "SME" sector with a focus on small and medium-sized enterprises and led off with "Influence of Mobile Money on Control of Productive Resources Among Women Micro Entrepreneurs Participating in Table Banking - Nakuru, Kenya" by Milcah Wavinya Mulu-Mutuku and Castro Ngumbu Gichuki of Egerton University. Mutuku discussed Kenya's Vision 2030 and how the aim is to transform Kenya economic, social, and political pillars. The research team decided to focus their study on the "social pillar," with an emphasis on the reduction of gender disparities and boosting of access to control around productive resources for women. They narrowed in on the business of "table banking," where money is put on the table and people borrow from the pool of currency, a practice that has even received presidential endorsement. As illustrated in the photograph above, audience members were encouraged to look at the entire assemblage of materials on the crowded table and to notice differences between documents, such as the differentiation of light blue passbooks from beige ones, which might indicate two different types of transactions. Researchers also visited Safari.com mobile money services. The methodology was characterized by three stages of data collection 1) questionnaire (data collected; analysis on-going), 2). focus group discussion (May, 2016), and 3) in-depth interviews (June & July, 2016). The culminating event would be a results dissemination workshop on September 2016. In surveying informants, they discovered that the issue was "not that they don't know about competing companies like Airtel," but getting accustomed "to a particular service for business." They also discussed how not all Safari.com services remained popular, because "they stopped using Lipa Na M-PESA," because the convenience of till numbers was offset by unanticipated service charges." Although their intention was to study women's groups, they discovered significant levels of participation by men in the groups. 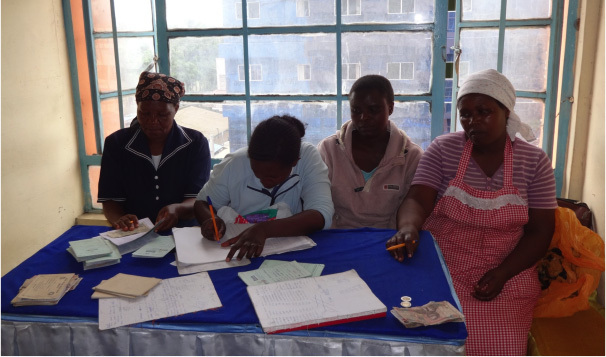 For example the Peniel Young Women Group had a male treasurer and secretary and a 13-10 gender ratio, The Faith Women Group also had a male treasurer, Hosea, who introduced new ideas to the group, such as acquiring land. 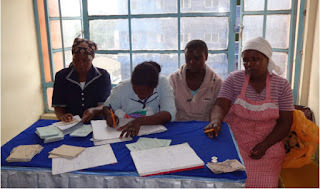 The benefits of being in these groups could be amplified by technology as well as gender diversity, so that table banking + mobile money might lead to a "transformation of life, as in the case of one of their subjects, Mary, who now encourages customers to use normal person-to-person money transfers. She wants customers to pay using mobile money and then transfers funds to her bank account, which makes her more able to important her goods from Uganda. With table banking and mobile money, her wealth has grown from 2 dollars to 700 dollars. According to researchers "when men are added," there might be "even higher benefits." So they asked, in focusing on empowering women alone, "are we missing something?" As Hosea exclaims in the end of their presentation, "women's eyes were open long ago, and the men's eyes are still closed." "Informal Loan Trap: Bombay 5-6 and its Effect on Tacloban Micro-entrepreneurs" by Rosalita M. Dula and Marilou Pelenio Grego of Eastern Visayas State University looks at loans and informal arrangements in the Philippines. Tacloban city is a regional capital that was recently devastated by a typhoon, Local lore attributes the presence of Indians to conscripts who jumped ship during the British occupation of earlier centuries. Today the "Bombay 5-6" wear distinctive checked shirts and zip through the city on motorbikes, which allow them to pass through alleys, escape ambushes, and not stay in the areas for too long as "walking cash dispensers." The micro-entrepreneurs who serve as their client base may sell fruit, root crops, street foods, and other products and services such as watch repair. 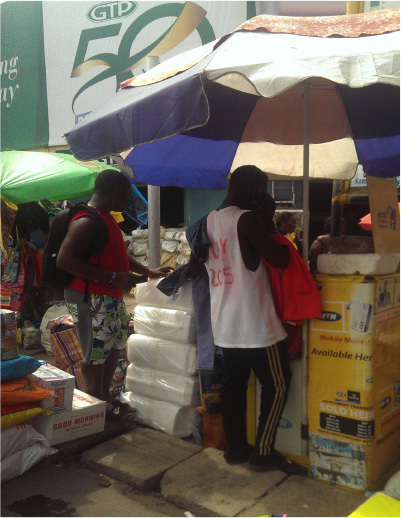 As ambulant vendors, they need capital to set up for the next day Dula cited prior work on the group in studies of informal financial survival in business by Mari Kondo. Grego explained the methodology of the study. She also narrated accounts of interpersonal dynamics, which might include pleading and negotiating the issue of default (which might be more common with formal bank loans despite their low interest). With these informal loan operators, women can easily begin a relationship. In contrast, with banks they feel the problem "of starting a business with only a dollar." Dula and Grego lauded these entrepreneurs for being highly innovative, although profit was often used in household expenses rather than business growth or expansion. Money lenders reach out to ambulant vendors and keep books very informally, so that "a piece of a notebook and a whole lot of trust" constitute the basic elements of the exchange. The final panel of the session was "Assessing Unmet Needs of Small Merchants in Adopting Digital Payment Systems in Southern Ghana" by Clement Adamba of the University of Ghana, who began by crediting Onallia Esther Osei and Rebecca Sarku for their dedication to the project. Unfortunately these members were unable to get visas to the IMTFI conference, despite their important contributions to the study that comprised home-based enterprises, roadside businesses, and work conducted in the back of shops. They focused on 1) 30 respondents who were SMEs on Osu Oxford Street, 2) 90 respondents from Makola, one of the oldest markets in Accra, which is dominated by imported foods, 3) 30 respondents from old Accra in Ga Mashie, the former capital of colonial government, and 4) 50 respondents from a rural district, the Adawso Roadside Market. 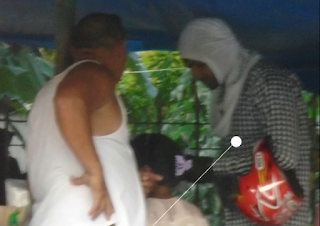 Each site also included at least one FGD and one IDI. Most respondents were women, with a gender ration of 154 to 46. 28% of respondents had used digital payment platforms, but 8.9 % had dropped out, and 25% were currently using. Factors included 1) illiteracy and ignorance, 2) poor communication networks characterized by waiting ("we cannot afford to go and wait for two hours"), 3) security and lack of trust, 4) language barriers that might be exacerbated by lack of transport, and 5) the fact that holding cash has more power than holding a card or invisible wealth on a phone. This show of cash was strongly linked to self-esteem. Respondents explained that "we want to count our money after a day's work". They look forward to ongoing fieldwork. In the lively question and answer session, a variety of innovative research questions were discussed, from deploying mystery shoppers to potentially going into business themselves to move toward more participation and less removed observation. There was also considerable debate about the dynamics of interest rates as incentives or disincentives of pursuing particular credit strategies.